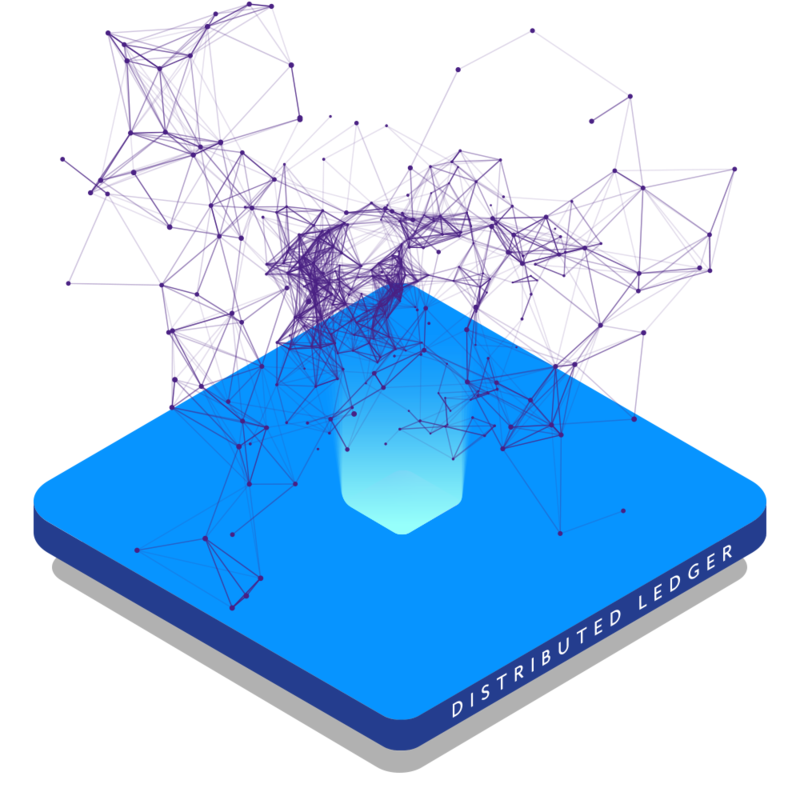 A blockchain infrastructure powered seamlessly by three distinctive layers : the Distributed Ledger, Validation Layer and Bridge Layer. 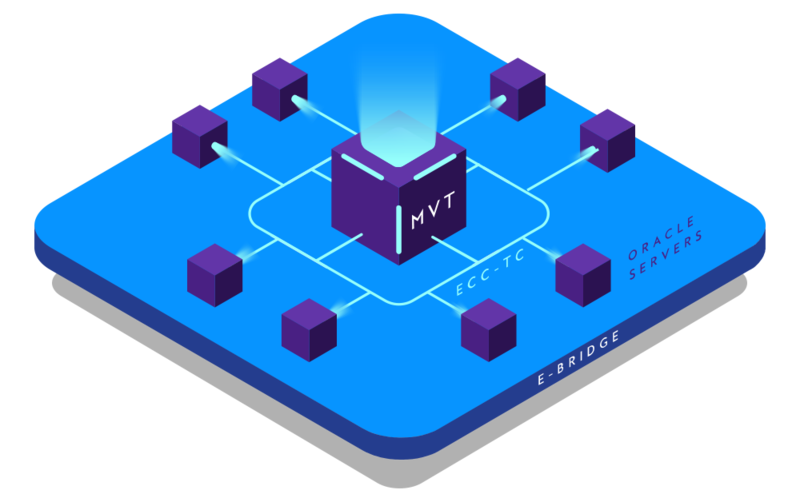 This layer consists of an e-bridge that connects EdenChain with external data sources through secured interoperability, enabling the on-chain smart contract to interact with the off-chain modules. As nodes exist on both the on-chain and the off-chain, an E-Protocol uses an encryption process called the Elliptic Curve Cryptography (ECC) – Threshold Cryptography (TC) for trusted connectivity. Transactions are executed and verified in this layer, which includes the Ethereum Virtual Machine (EVM). Using a Transaction Execution Scheduler, it forwards transactions to corresponding nodes based on namespaces. Automation of transaction routing allows efficient resource management across transactions and nodes. 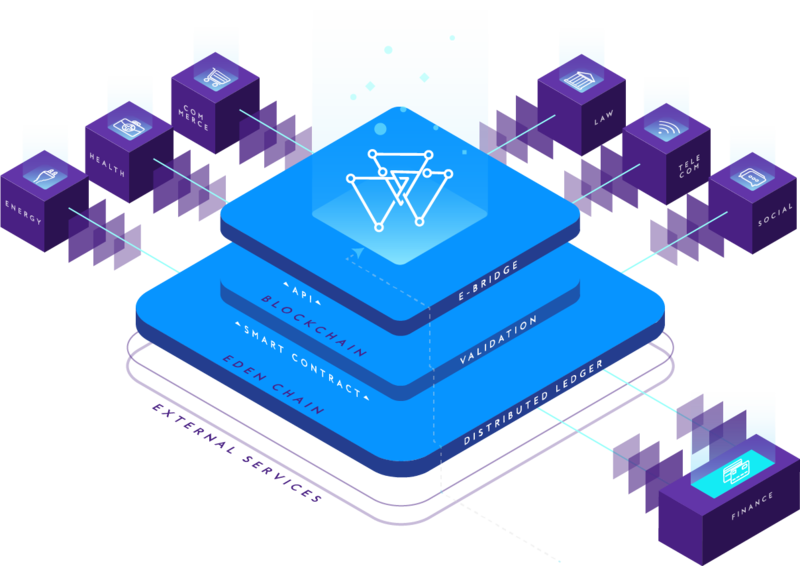 One can also operate the blockchain with optimal resources and computing power through real-time monitoring of the workload allocated to the Trusted Execution Environment (TEE). 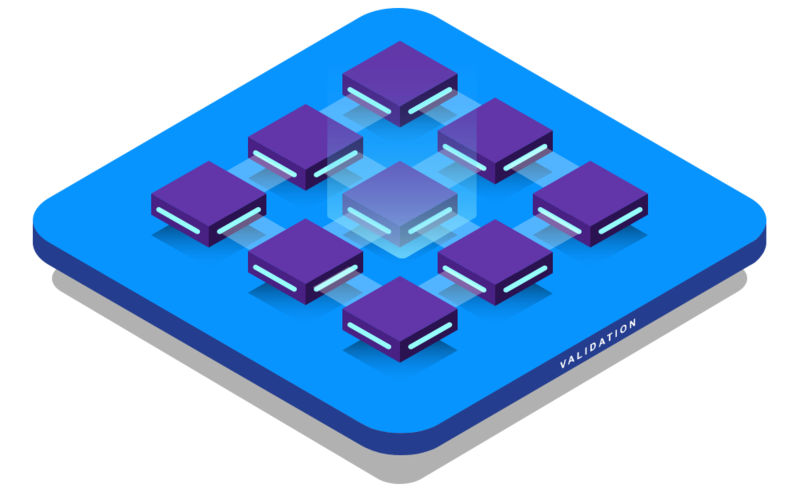 By grouping related transactions into batches, the validation layer ensures efficient execution and eliminates any data dependency issues. Based on Linux Foundation’s open source project, Hyperledger Sawtooth, the distributed ledger layer provides the decentralized database functionality for EdenChain. Proof-of-Elapsed-Time (PoET) is a consensus algorithm that integrates a CPU command in the Software Guard Extensions (SGX) to select a leader randomly without utilizing large amounts of energy to solve a hash problem. SGX allows applications to run trusted code in a protected environment.